Discover 35 inspiring seats at 'Creating the Contemporary Chair', spanning from 1980 to 2016, including designs by major names Tord Boontje, Konstantin Grcic and Patricia Urquiola. All recent NGV acquisitions, they include a stool coated in volcanic rock and a suspended chair resembling a killer whale. 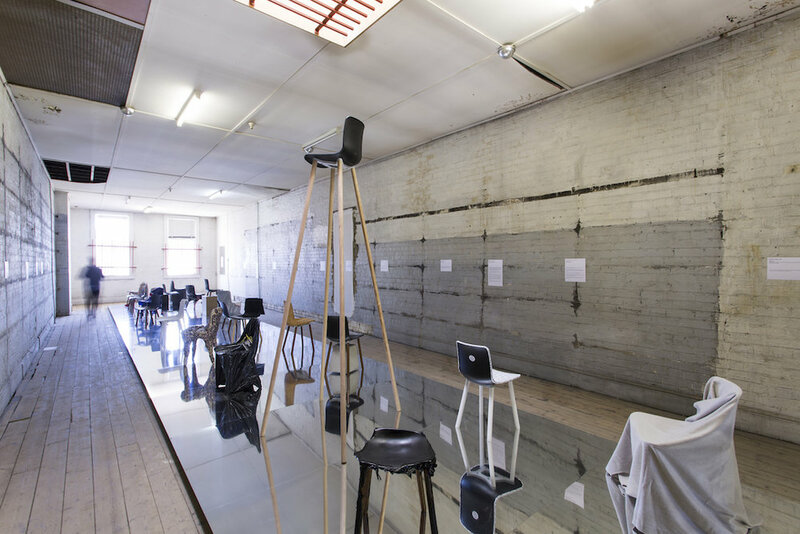 A derelict historic Collingwood watchmaker's shop gets a minimal mirrored makeover by local studio Folk Architects in pop-up satellite space 'Watchmaker', which hosts six shows. Friends & Associates invites 26 Australian designers – including Tomek Archer, Tom Fereday and Ross Gardam – to reconfigure replicas of Jasper Morrison's oft-copied 'Hal' chair for Vitra in '26 Original Fakes', celebrating authenticity in a murky world of fakes. Hub Furniture's Jaci Foti-Lowe curates 'The Found Object', sharing inspirational pieces collected by Melbourne creatives. In 'Undervalued' Australian designer Nick Rennie champions beautiful, useful designs costing up to $2, £2 or ¥2. Egg forms are explored in 'Ovoid', fine-art photos shot by Nick Horan. Interactive installation 'Apparatus 4' by 227768c is animated by an algorithm which causes its inflatable surface to undulate. Short film 'Untitled (with Gelato)', by Coco and Maximilian, looks at the design arc of relationships. From Brutalist Polish churches to Oscar Niemeyer's uncompleted designs for Lebanon's International Fairgrounds (interrupted by civil war), 'Modern Forms' recalls the architecture of post-war modernism. Warsaw-based Nicolas Grospierre's shots capture the sculptural, geometric nature of these unfamiliar works. 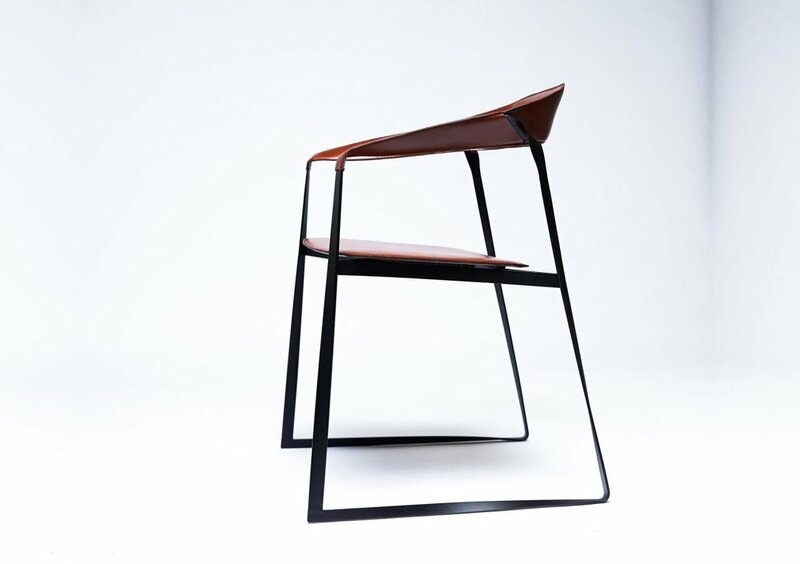 Sophie Gannon Gallery presents contemporary Australian design at 'Designwork 01'. The sleek space showcases 10 designers, including Trent Jansen's sculptural Indian-inspired stools and vessels, David Mutch's acrylic leaning lamps, Ash Allen's recycled cork and tyre stools, and Dale Hardiman's 'Wood Is Made From Trees' customised timber IKEA 'Frost' stools, clad with native paperbark used by the indigenous Wurundjeri. Catch the work of local young designers from two states at the Victoria Tasmania Graduate of the Year Award 2016, presented by the Design Institute of Australia, which features furniture, industrial and interior design, as well as visual communications, textiles, fashion and jewellery.